Russ on Reading: What Kind of Knowledge Does a Teacher Need? I have one of those minds that is a treasure trove of useless information. My friends tell me I should go on Jeopardy!. I had a long unbeaten run in Trivial Pursuit broken (by my wife) just a few years ago. I can tell you that Hall of Fame baseball pitcher Robin Roberts of the Phillies, won 28 games and lost only 7 in 1952. I know that the tenth President of the United States, John Tyler, had 15 children. I can name all the states and their capitols and recite The Gettysburg Address. But unless you are playing parlor games (remember them?) or taking standardized tests, this knowledge is not particularly useful for anything. But speaking of those standardized tests, I have recently been tutoring college juniors on the Praxis II tests that they must pass to be licensed as a teacher in New Jersey. 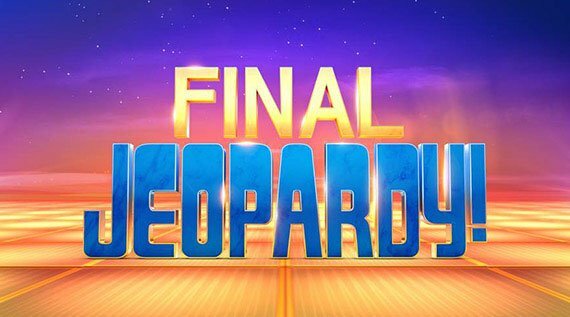 While some of the questions on the tests do try to tap into knowledge that is necessary for teaching, many of the questions are of the random fact variety, a Jeopardy! quiz that puts your teaching license at risk. Fortunately, most of the teaching candidates at Rider pass these tests fairly easily, but some, often students with a history of being poor test takers, struggle mightily. Which of the following organizations was most responsible for the increased tensions over the shortage of a natural resource during the 1970s? Tough question for a 21 year-old undergraduate elementary education major. If you are my age you probably remember sitting in line for gasoline back in the 70s, but I can't imagine this is in any curriculum that these students have studied in school. Most importantly, this knowledge is trivial and unrelated to teaching ability. A good Jeopardy! question, but a lousy pre-teacher question. But then there is this question on the Praxis for a prospective secondary school English teacher. I have shown this question to three Secondary/English teaching candidates and none could answer it. I bet you can. Which of the following authors is responsible for creating the characters Miss Havisham, Ebeneezer Scrooge, and Bill Sikes? Once again, a trivial piece of knowledge perhaps, and a bit of knowledge that a teacher could easily find on Google, but I admit I was a bit nonplussed that these future English teachers could not answer this question. Shouldn't any undergraduate and especially one who seeks to be an English teacher be able to answer this question? So this experience brought me to the pursuit of an answer to this question: just what kind of knowledge does a teacher need to be effective? My research led me to an article by Lee S. Shulman of Stanford University. Shulman (1987) came up with a list of what a teacher needs to know thirty years ago. It still rings true. the blending of content and pedagogy into an understanding of how particular topics, problems, or issues are organized, represented, and adapted to the diverse interests and abilities of learners, and presented for instruction. Pedagogical content knowledge is different from knowledge of general teaching methods. Expert teachers know the structure of their disciplines, and this knowledge provides them with cognitive roadmaps that guide the assignments they give students, the assessments they use to gauge students’ progress, and the questions they ask in the give and take of classroom life. Obviously this is a level of knowledge that cannot be Googled. How does a teacher get this knowledge? Shulman suggests four ways: 1) study in the content area, 2) study of the materials to be used for instruction and assessment, 3) formal educational scholarship, and 4) the wisdom that comes only from practice itself. So yes, it is very important that students develop expertise in the content they will teach (1), but it is just as important that they get the opportunity to interact with actual materials they will use for teaching (2). It is also important that students study all the important research that has gone into how students learn (3), but just as important that prospective teachers get lots of time in the classroom to practice the craft under the watchful eyes and wise guidance of experienced practitioners (4). The concept of PCK should be driving the formulation of a course of study for all prospective teachers. Often there is little match between the content students are learning in their history, English, science and math classes and the content they will be teaching in an elementary or high school class. Often their is too little time spent in the study of the likely materials that new teachers will be using in the classroom and their never seems to be enough time for students to spend in the classroom gaining the wisdom of practice itself. A continued focus on PCK is also the professional responsibility of the practicing teacher. What Shulman calls "the wisdom of practice itself" can only come from a teacher continuing to read the research, keeping abreast of new developments in the discipline, continually reviewing curriculum and assessment materials and practices, and reflecting on what works and what doesn't. One thing is certain, a licensure program based on standardized tests is never going to be an effective way to identify students who are well-qualified to be teachers or inform a practicing teacher's evaluation. At best, these tests measure a very narrow band of the PCK all teachers need. At worst they provide a false picture of student achievement and teacher performance. What does a teacher need to know? As the list above indicates, pretty much everything, but most especially a teacher needs pedagogical content knowledge. All of us would do well to inventory our own level of PCK to make sure we are up to the challenge and to ensure that our students are getting the best we have to offer. I am pleased to say the students that struggled with the Charles Dickens question above, left with a list of books they needed to read over the summer. That is a place to start, but only a start.